Many Americans use debit cards to pay for food, clothing and everything else under the sun. Research suggests that millennials in particular prefer debit cards over credit cards and more than a third of them don’t have any credit cards at all. Even if you already know how debit cards work, there could be some benefits and drawbacks to using them that you aren’t aware of. We’ve got you covered. Credit unions and local banks provide debit cards to consumers. Also known as check cards, they’re normally connected to checking accounts. So whenever you use a debit card to make a purchase, you’re taking money directly from your personal account. Debit cards come with multiple advantages. They can be used to withdraw cash from ATMs. They can also be used to make purchases when you have no cash on hand. If you’re in a situation where you need cash money but you’re too far from an ATM within your network, certain locations can give you cash back when you use your debit card to buy an item. When you’re dealing with dollar bills, it can be awfully difficult to keep track of your spending. Debit cards eliminate this problem because each transaction you make is automatically included in your banking statement. With a debit card, you won’t have to stress about having to stop by an ATM every day to get cash. And best of all, they’re accepted virtually everywhere. From the grocery store to the gas station, they provide a convenient way to cover the costs of your day-to-day expenses. Not all debit cards are tied to checking accounts. Prepaid debit cards, for instance, work more like gift cards. You load money onto the cards beforehand and then use the available funds when you need them. Similarly, folks with Electronic Benefits Transfer (EBT) cards don’t need bank accounts linked to them because benefits such as food stamps come straight from the government. Some debit cards actually function as rewards cards and give you cash back or points that you can redeem for frequent-flier miles, gift cards and products. Debit and credit cards share a few features. Both can be used to buy a variety of different products and both limit the amount of money that you can spend within a period of time. 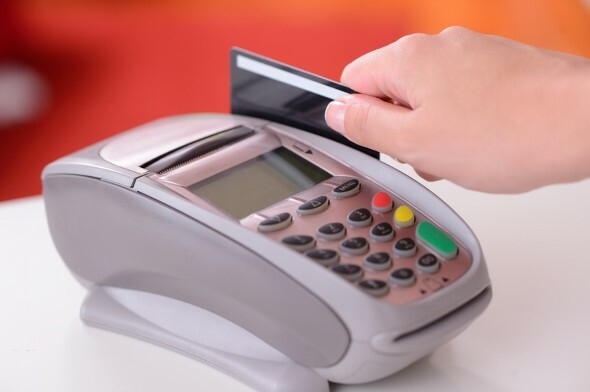 Debit cards often place a cap on the number of cash withdrawals and daily purchases that you can make. In many ways, however, credit and debit cards are quite different. Because debit cards pull money directly from checking accounts, they prevent users from going into debt. Unless you have a prepaid debit card, there are generally few fees attached to debit cards. Moves that can trigger extra charges on a debit card include overdrafts and using an ATM that isn’t “in network” for your bank or credit union. In contrast, credit card users borrow money that they don’t necessarily have. Credit cards come with all sorts of fees and interest rates that vary depending on factors like your credit score, payment history and income level. Although debit and credit cards offer a degree of protection from theft and fraud, credit cards are usually more secure. If someone steals your credit card number, you’re not responsible for any fraudulent purchases that are made. If you notify your bank or credit union before someone buys something with your stolen credit card, you’re in the clear. At most, you can expect to pay $50 for failing to report your missing credit card in a timely manner. But if someone uses your stolen debit card to buy furniture, for example, and you wait more than two business days to make a call, you’ll owe the bank at least $500. Generally though, you won’t be held liable for unauthorized transactions if your debit account number (and not your actual card) has been taken, as long as you inform your bank about the theft within 60 days. Debit cards often require users to enter a PIN during transactions and sometimes include the photos of cardholders. But sometimes these safeguards don’t do enough to prevent thieves from stealing cards. If a hacker gets his hands on your debit card, most of the money in your checking account could be gone before your bank investigates the incident. Banks don’t always agree to issue a refund and even if yours does, that process could take weeks to complete. Imagine how stressful that would be if your savings are low and you have bills due. Fees that you incur from paying with debit cards can add up over time. Some banks charge you whenever you use your PIN to make a purchase. And if someone has access to your card number, you might owe some overdraft fees if you don’t immediately realize that your account has been compromised. Looking for a way to build your credit? A debit card can’t help you. Plus, rewards programs attached to debit cards typically aren’t as great as the ones linked to credit cards. Using a debit card might be a good option if you tend to spend too much when carrying cash or you’re trying to get out of debt. But debit cards can be riskier than credit cards since they don’t provide as much protection from hacking, scams and fraud. 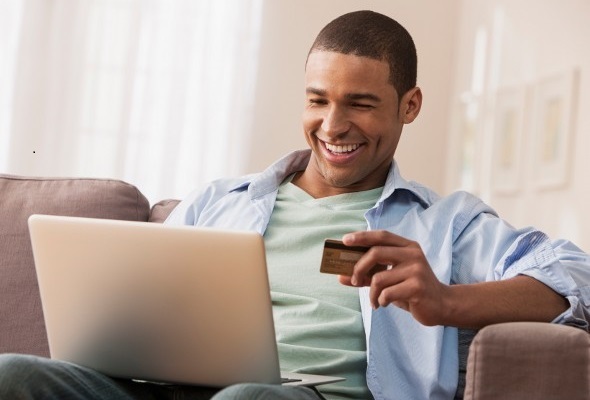 If you rely on your debit card, it’s best to avoid using it to shop online or at unfamiliar locations. Frequently monitoring your bank statements for unusual activity and memorizing your PIN instead of writing it down are other ways to keep your checking account safe.